I teach a high school elective course on Cincinnati History at Harrison HS. I do a fun unit on parks and recreation in Cincinnati that includes a section about Coney Island. Last year, I found a wonderful hour long documentary on Coney Island. I have dug and dug looking for that video and I cannot find anything. And then there is this video (which is an hour and a half long) detailing the history of how Coney grew into Kings Island. It includes footage from Coney, and interviews from Gary Wachs, whose family owned Coney Island. I hope that helps. There used to be another video I think on Coney, but can`t seem to find it right now. 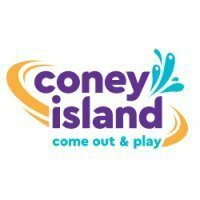 Let me know if you have any questions about Coney Island. I have worked there for twelve years. I think the video you are looking for is Greetings From Coney Island , it has since been pulled from youtube but thankfully I downloaded it and can put it back on youtube if you would like. Greetings from Coney Island was pulled from YouTube due to a request to Google from the copyright holder. You can still purchase it at the Administration Building. I bought one for a Christmas present for my brother. Wow! That's great news! Is it on DVD? By the way, has anyone ever found Coney Island: Relive the Magic? It is a documentary filmed in the 80's by WCET. Several members have been looking for it for about a decade now with no luck. If someone has a copy, maybe upload it to YouTube? Given there is a serious rights issue involving that title, uploading it to YouTube would almost certainly quickly result in litigation. It has been uploaded, several times. Each time, within hours it was removed. Planned on showing the Greetings from Coney Island to my students today as part of a unit on Parks and Recreation in Cincinnati. Came in this AM and Greetings from Coney Island was nowhere to be seen.... I am going to call Coney Administration Building and see about ordering a copy of the DVD. I would ask that someone PM you, having your e-mail addy on here is just asking for spam when "bots" pick it up.